The total monthly rainfall was 44.9 mm at Truganina compared to 84.1 mm at Cranbourne. 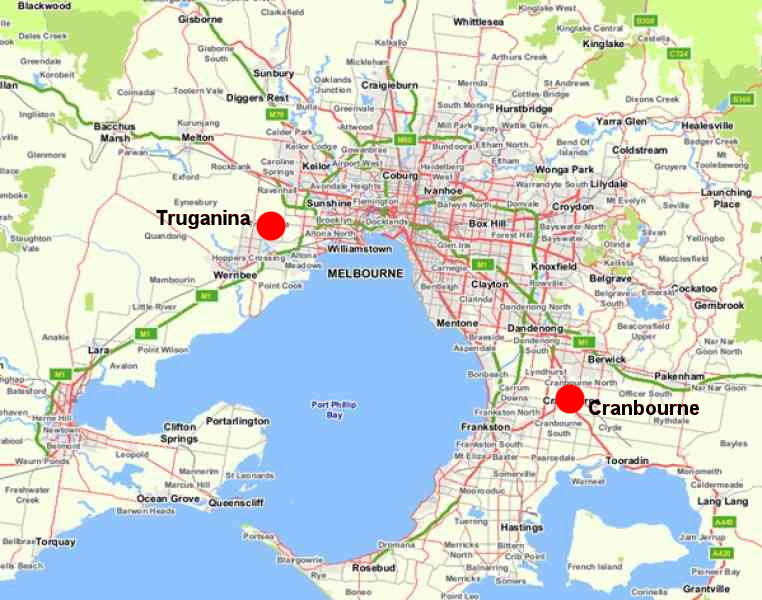 The mean daily maximum temperature was 14.9° C at Truganina compared to 14.2° C at Cranbourne. 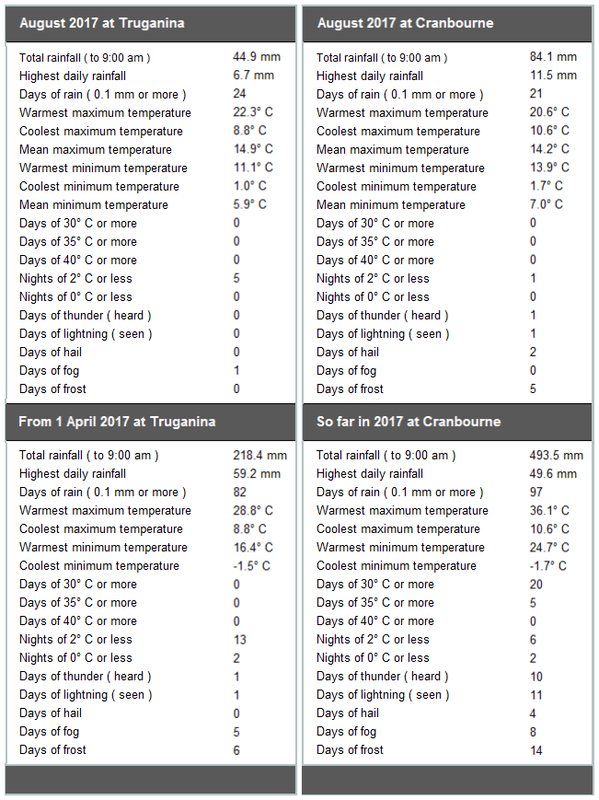 The mean daily minimum temperature was 5.9° C at Truganina compared to 7.0° C at Cranbourne.